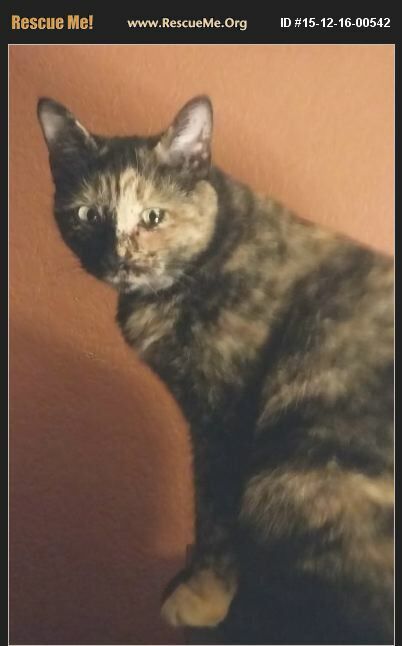 Holly is a Tortoiseshell and approximately two years old. She came to us this month (December 2015) when a good samaritan saved her from heavy traffic where she surely would have been killed. She has a wonderful personality and loves to sit on your lap. She tolerates dogs and other cats just fine. She's also good with older children and can be adopted to a family with children 7 and older. Holly is now spayed, microchipped, current on vaccinations and will be adopted as an indoor cat only.